Click on the image to go to a Flickr set of various phases of the eclipse. 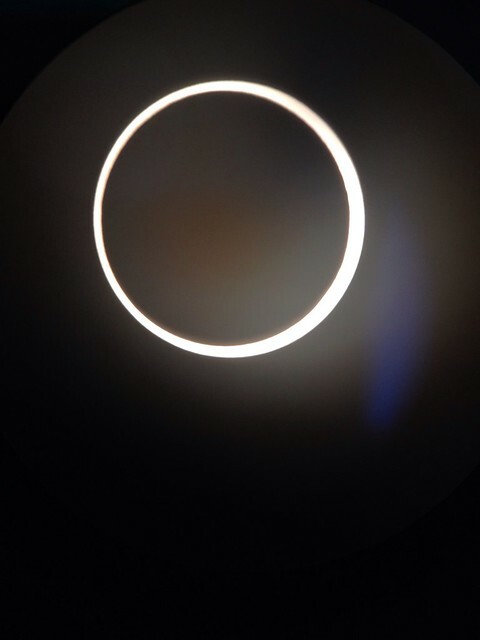 All photos were taken in Redding, CA with an iPhone 4S looking into a 25mm plössl eyepiece on an Orion XT10i dobsonian reflector telescope (10" aperture, 1200mm focal length, f/4.7) equipped with a full aperture glass solar filter. This entry was originally posted at http://tww1fa.dreamwidth.org/105821.html where there are comments. You may comment here or there.